Lucasfilm is raising money for UNICEF and the Starlight Children's Foundation with a special sweepstakes that gives Star Wars fans a chance to win some pretty cool prizes. 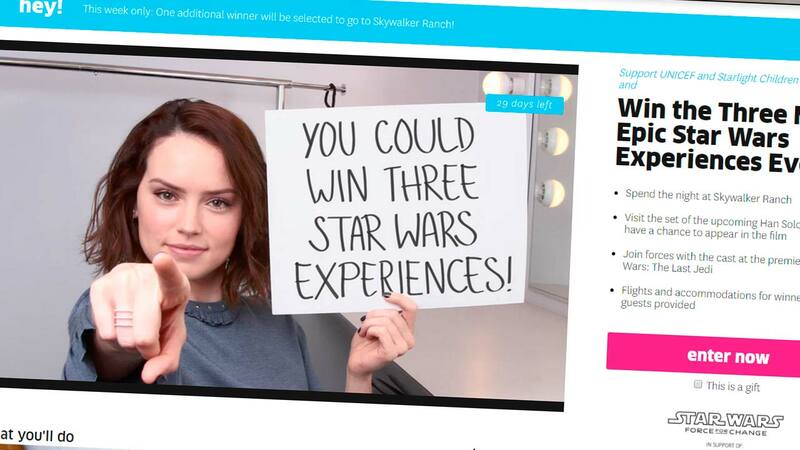 Prizes include an overnight stay at Skywalker Ranch, a chance to appear in the upcoming Han Solo movie, and a chance to go to Los Angeles and join Daisy Ridley and the cast for the premiere of "The Last Jedi." Visit www.omaze.com/StarWars for more info. Disney is the parent company of Lucas Films and ABC30.